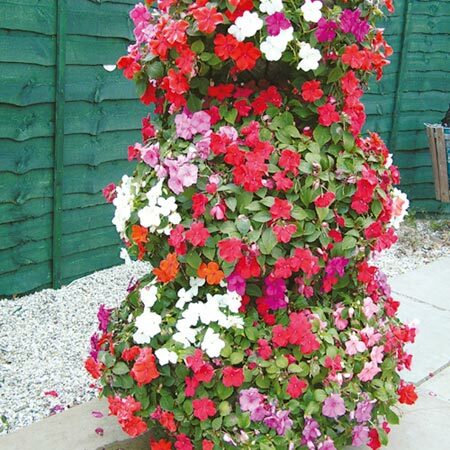 The vigorous, tumbling/trailing habit of this superb variety, together with its array of vibrant colours and extra large flowers, makes it a must for baskets and large patio containers! Flowers July-September. Height 25–40cm (10-15”). HHA - Half hardy annual. This first true trailing imaptiens from seed!